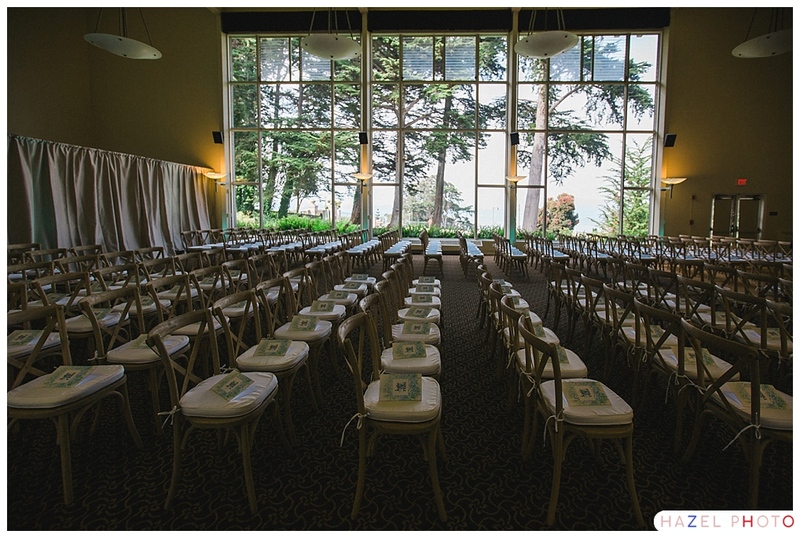 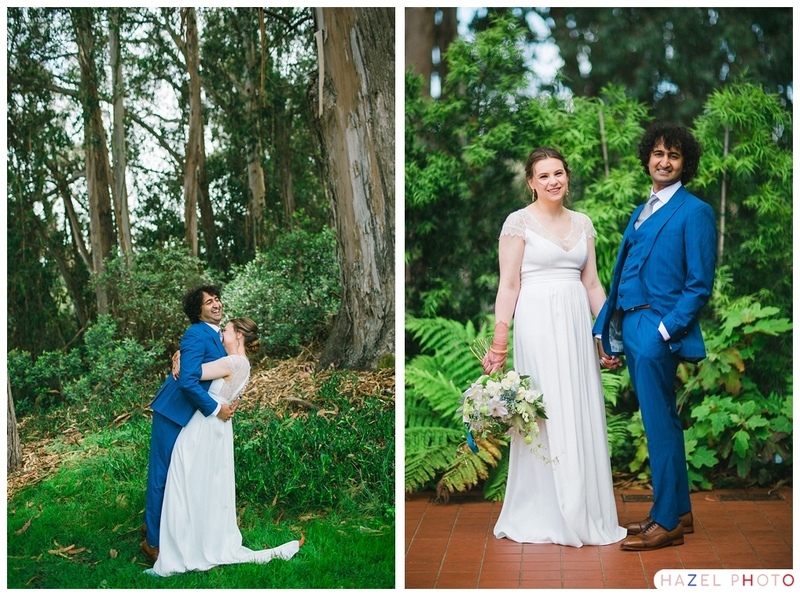 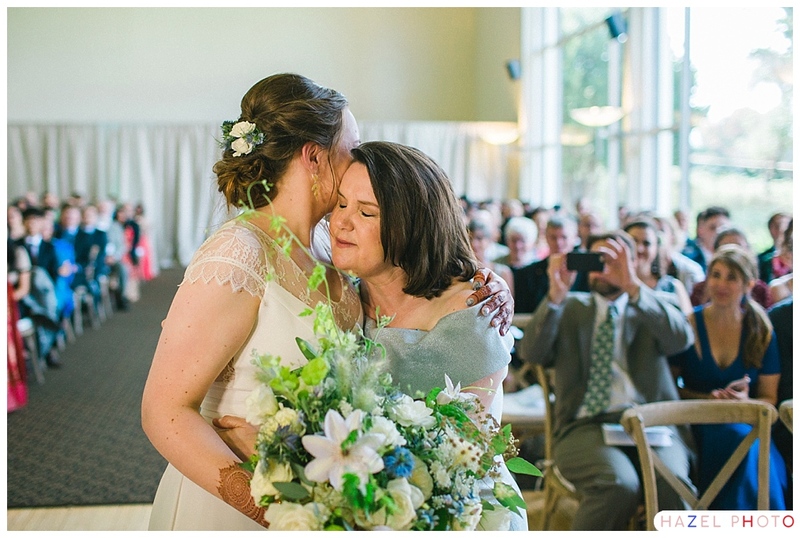 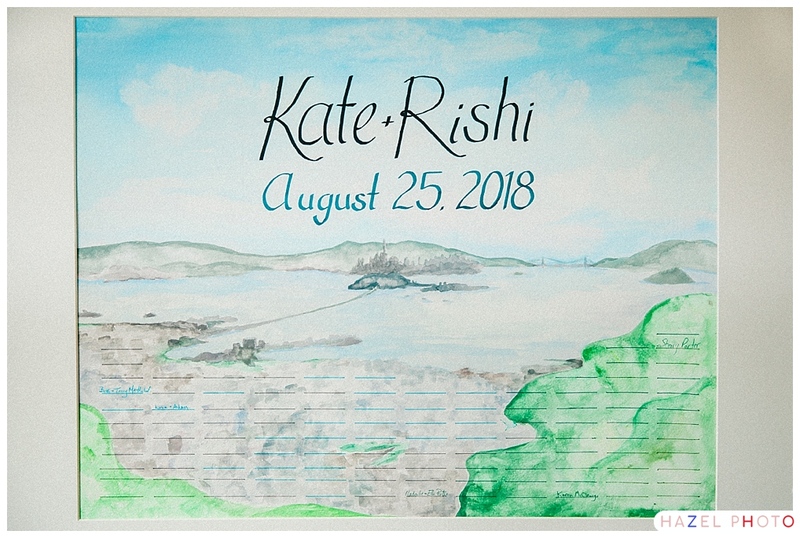 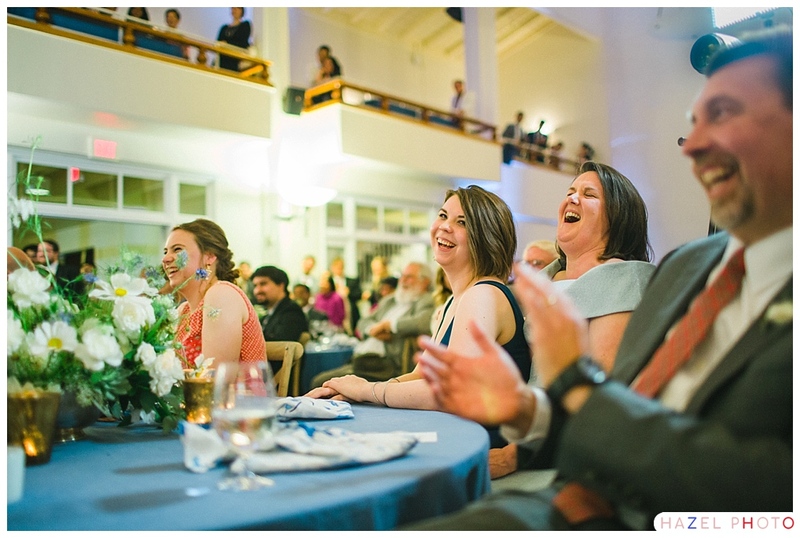 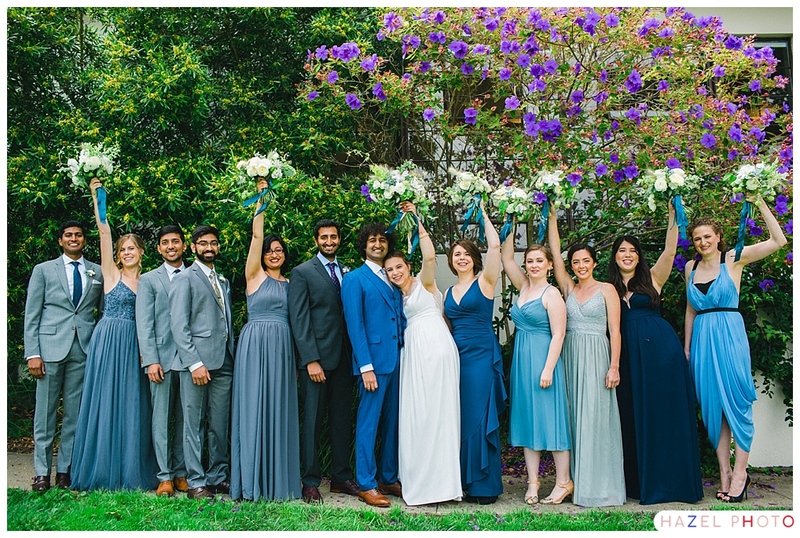 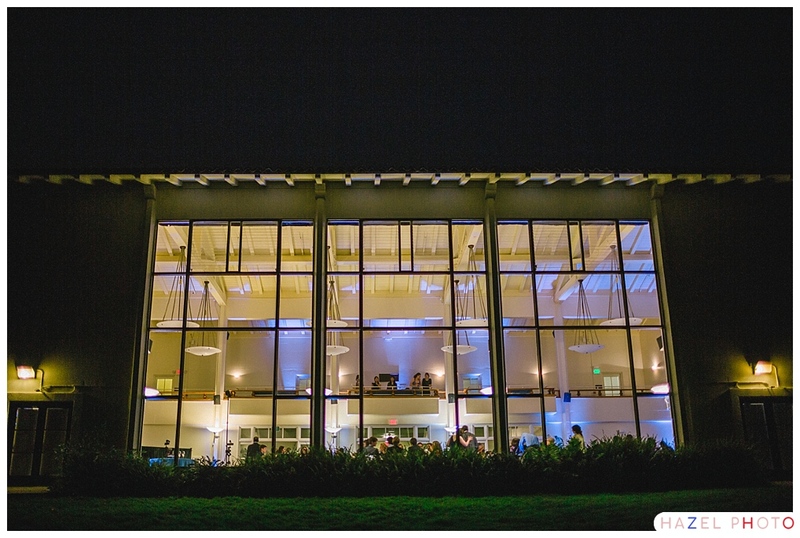 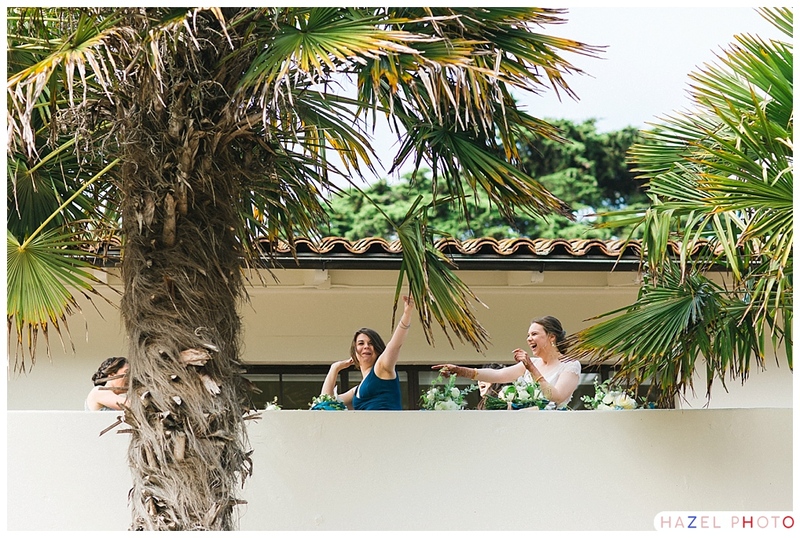 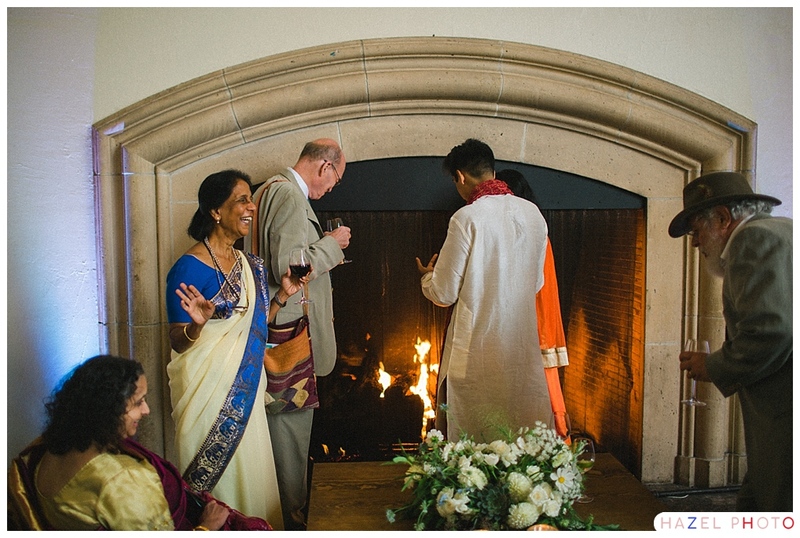 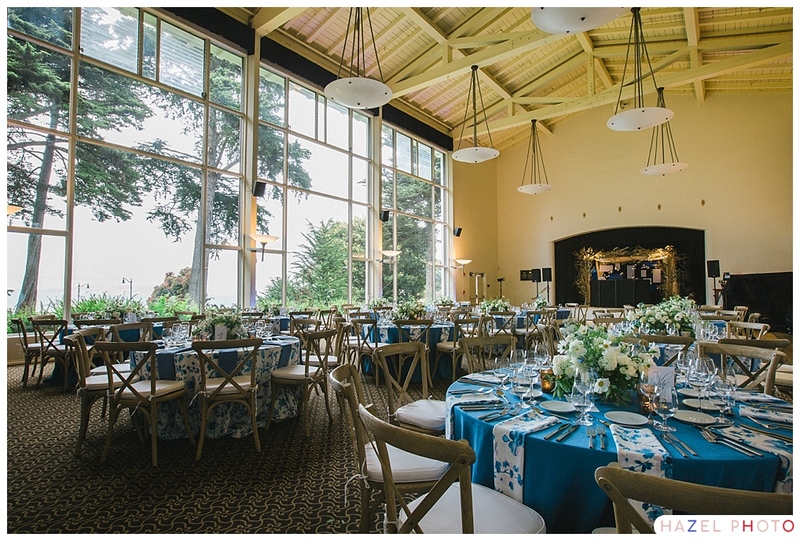 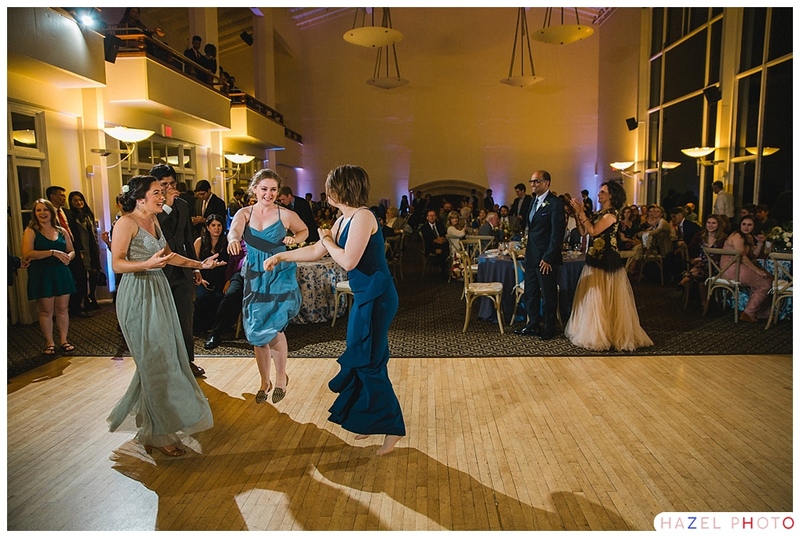 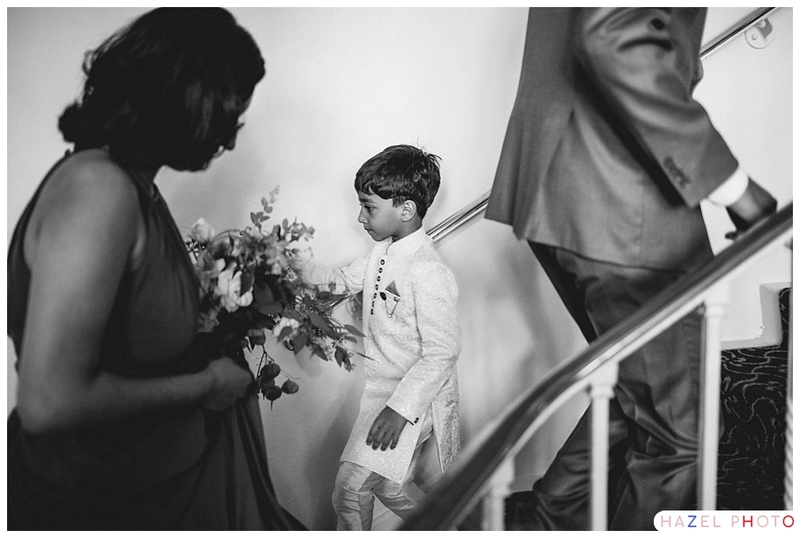 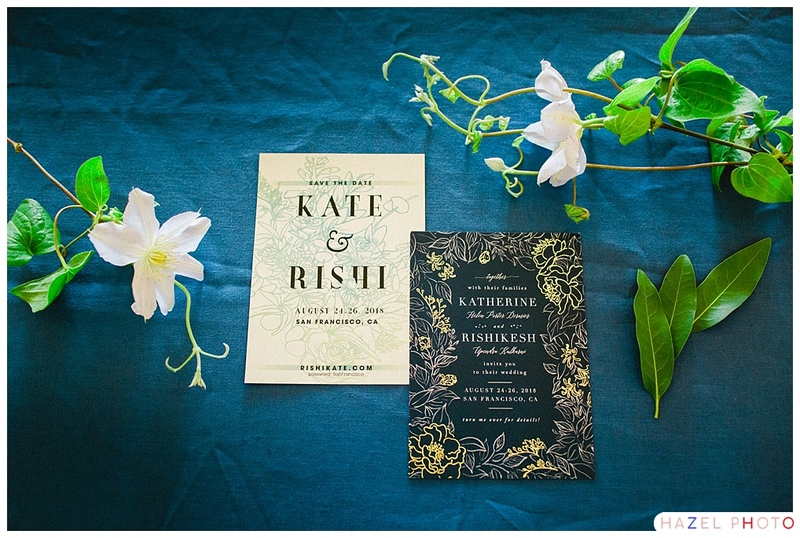 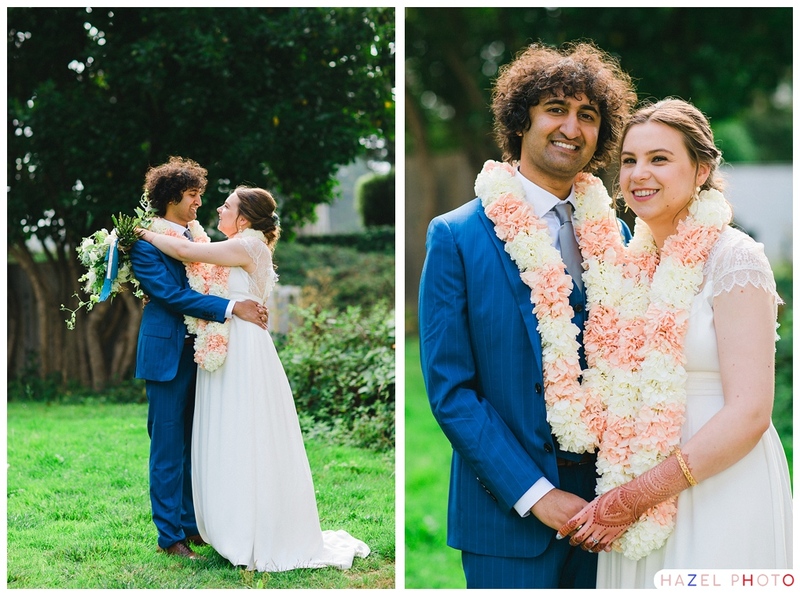 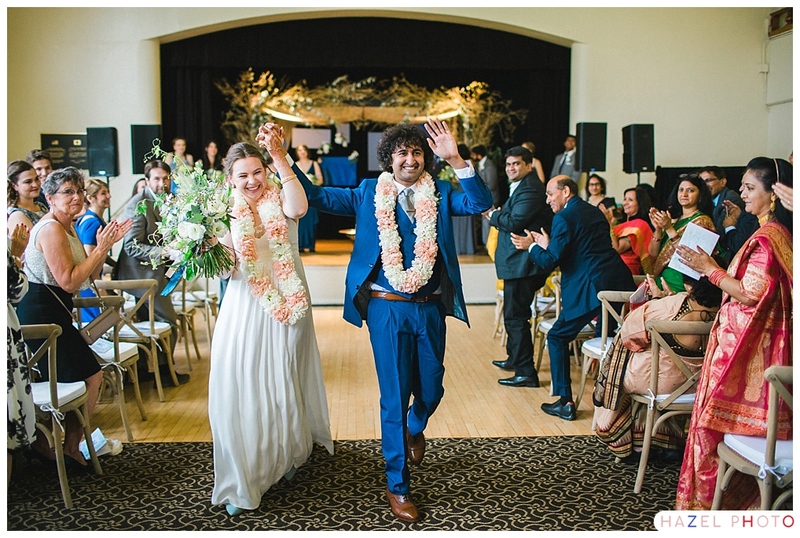 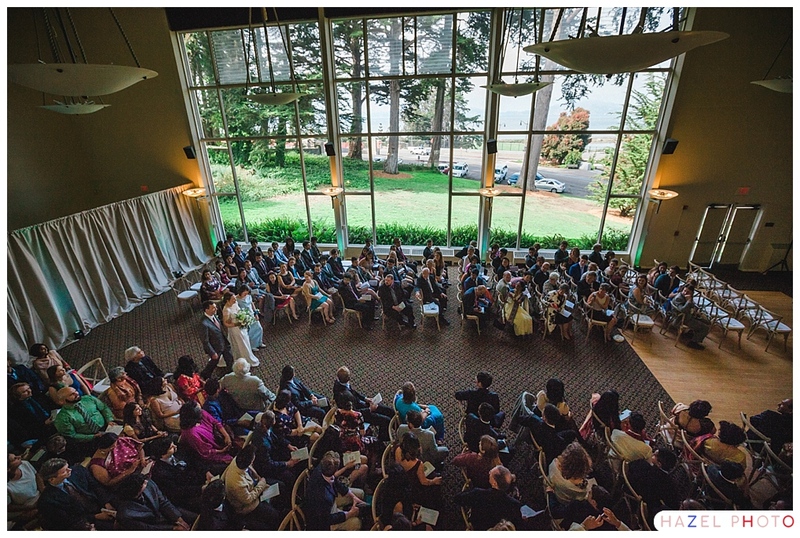 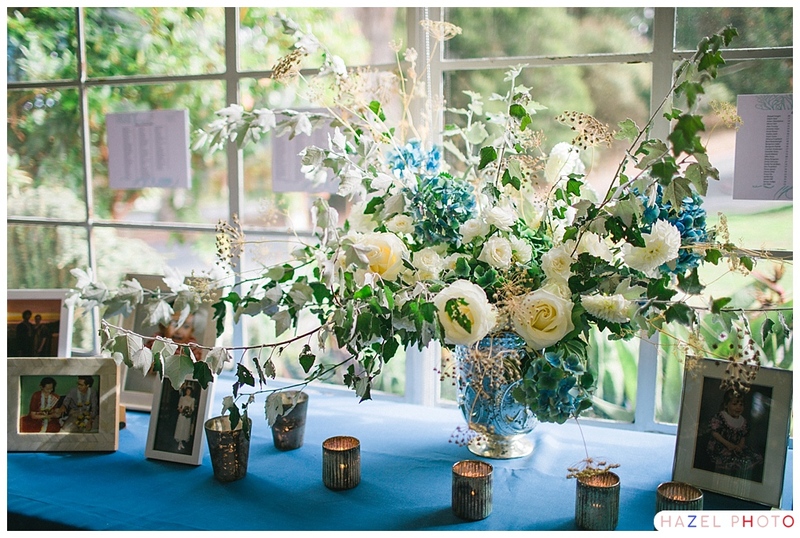 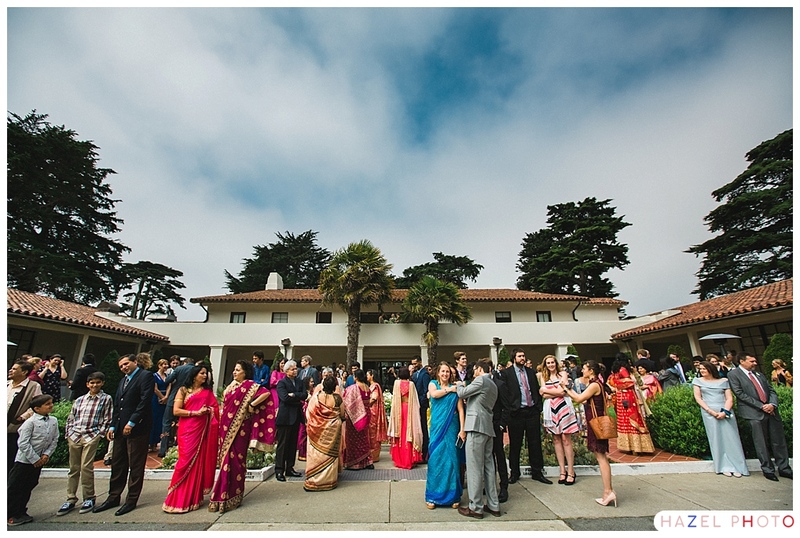 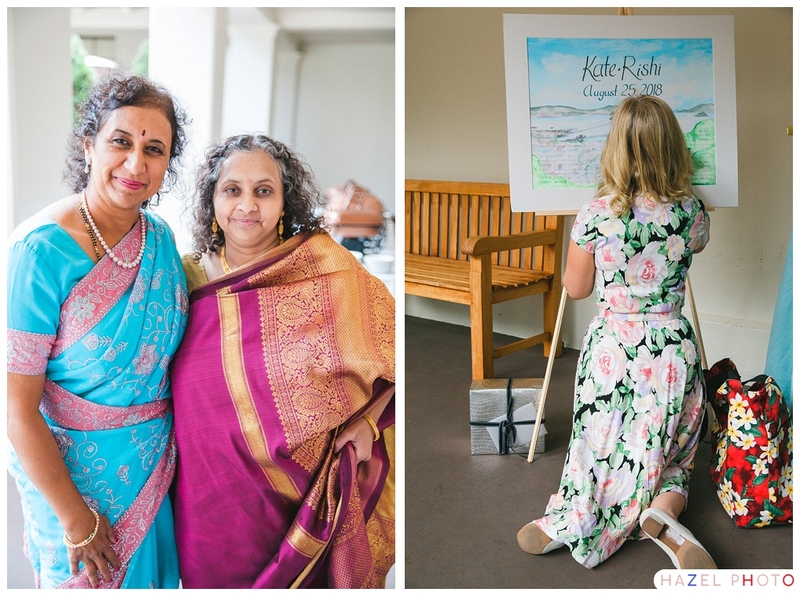 Kate & Rishi were married at the Golden Gate Club in San Francisco’s Presidio. 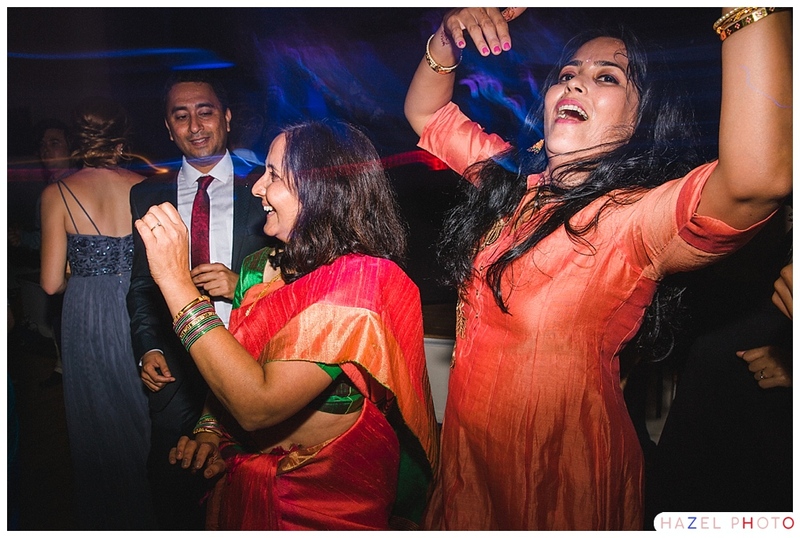 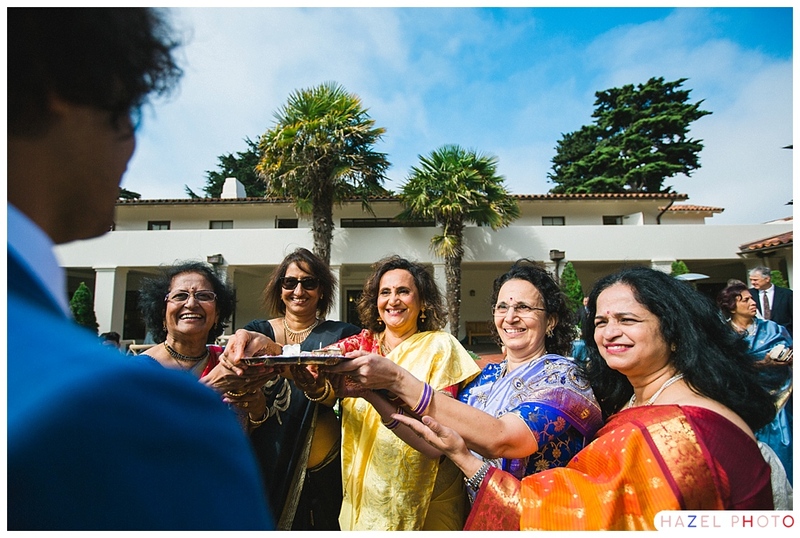 The day was a hybrid of Western and Indian wedding traditions. 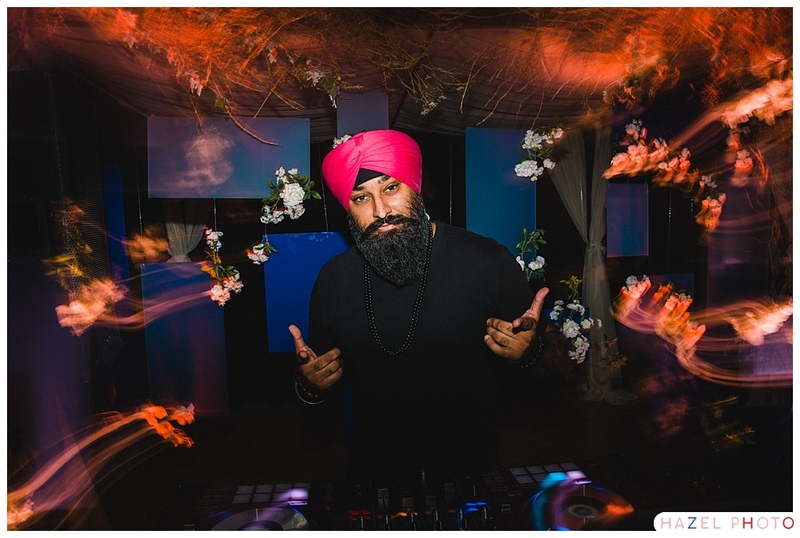 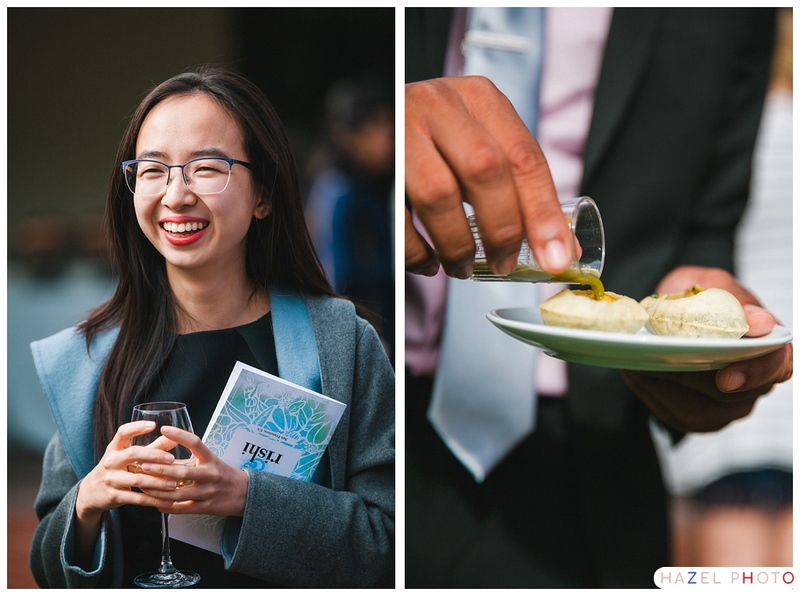 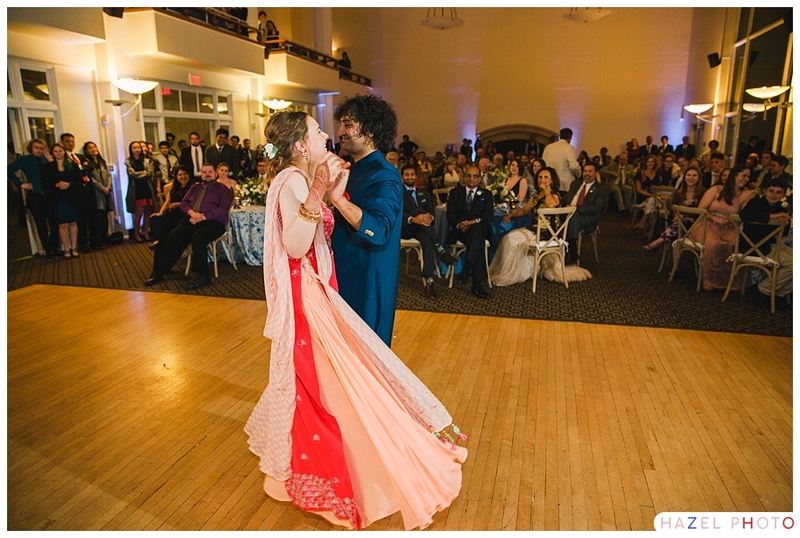 (I also had the pleasure of documenting their sangeet on Friday at the Westin St. 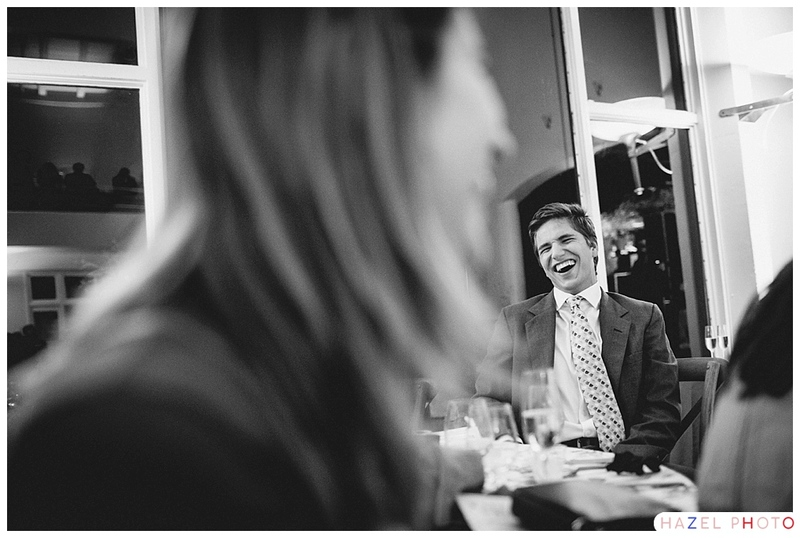 Francis.) 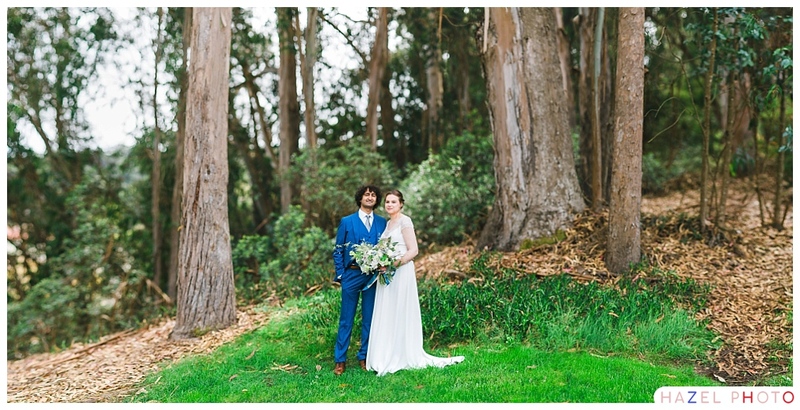 All day long the legendary San Francisco fog moved quickly overhead letting sunshine through at a few key moments. 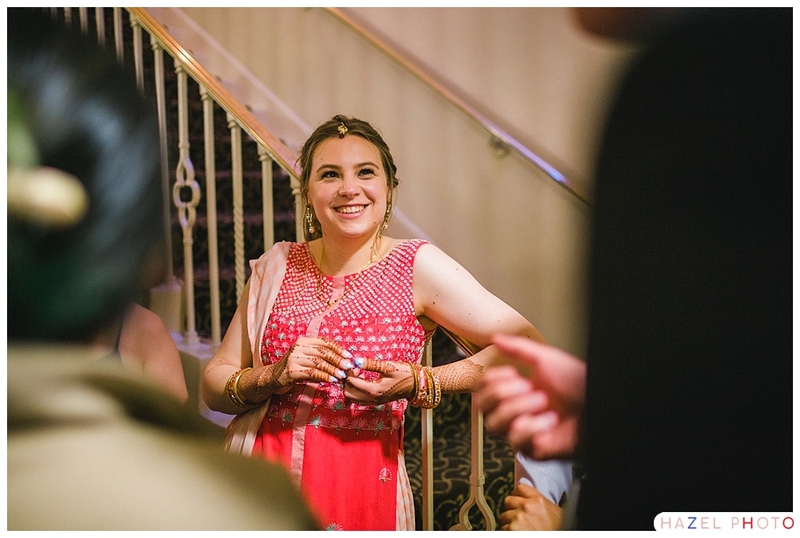 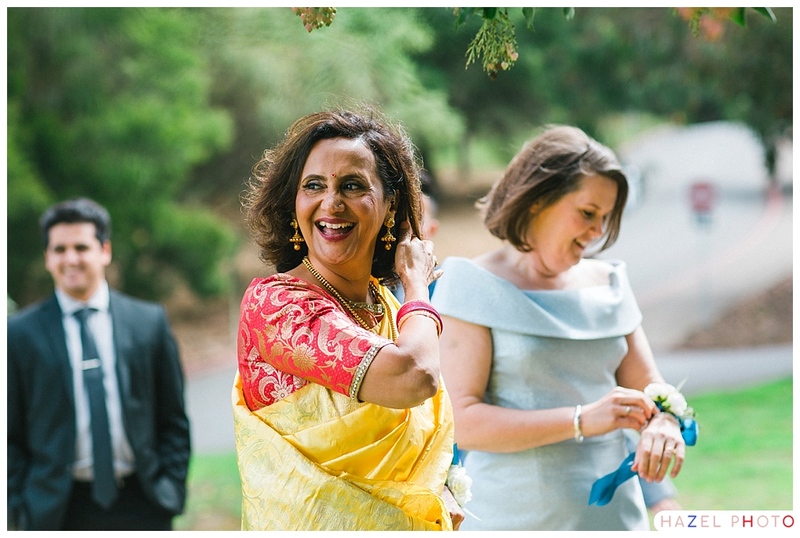 I was especially grateful for the glow of the sun during the baraat, and just after the ceremony. 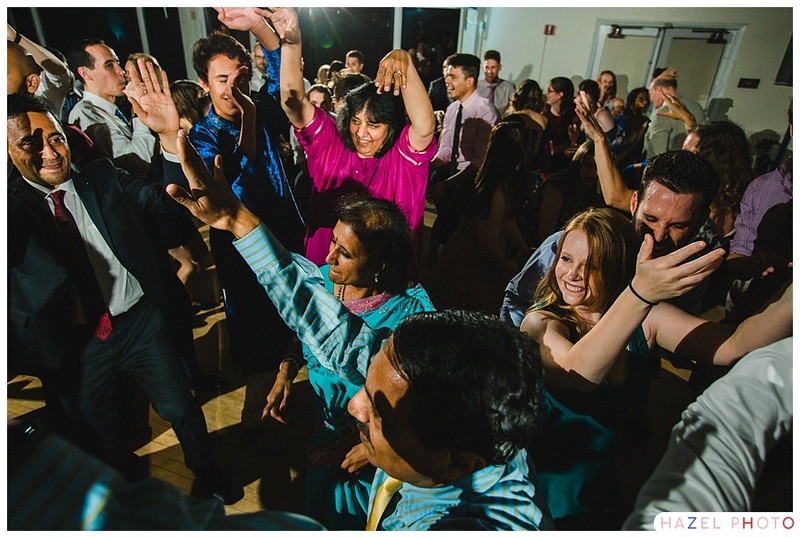 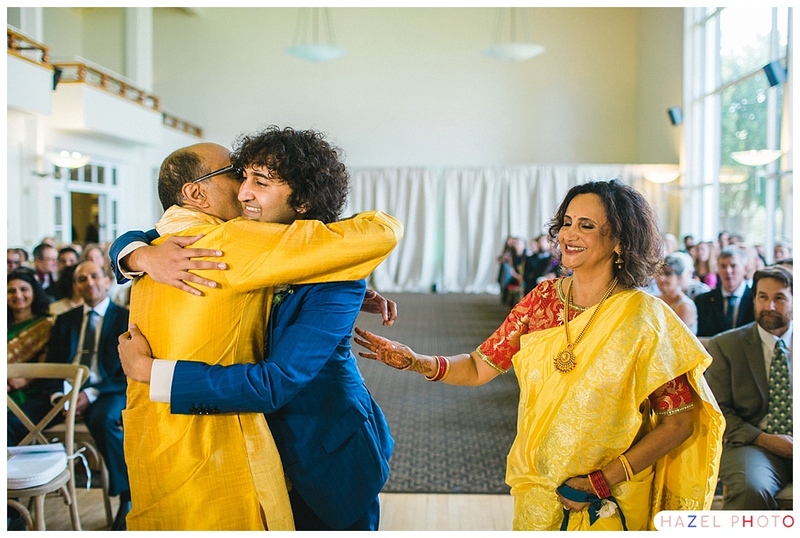 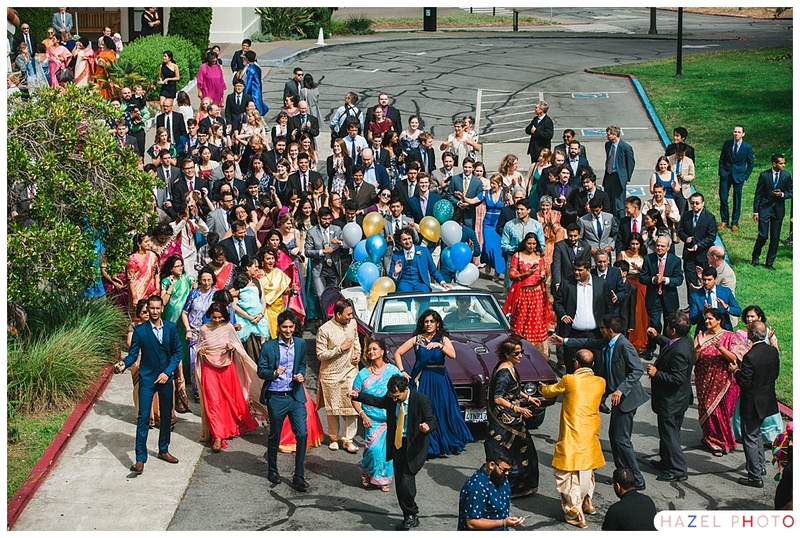 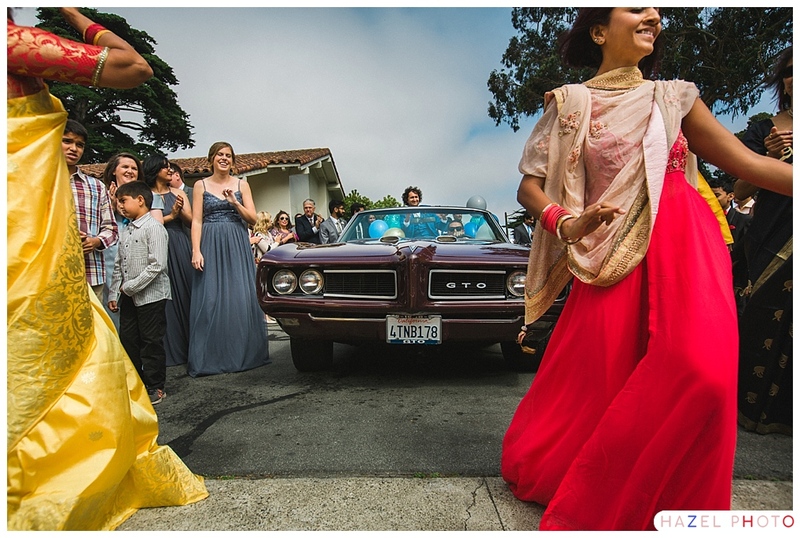 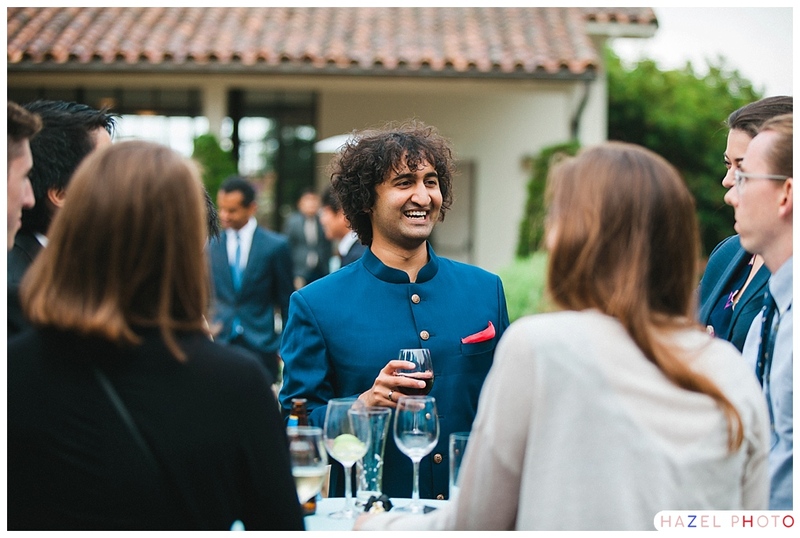 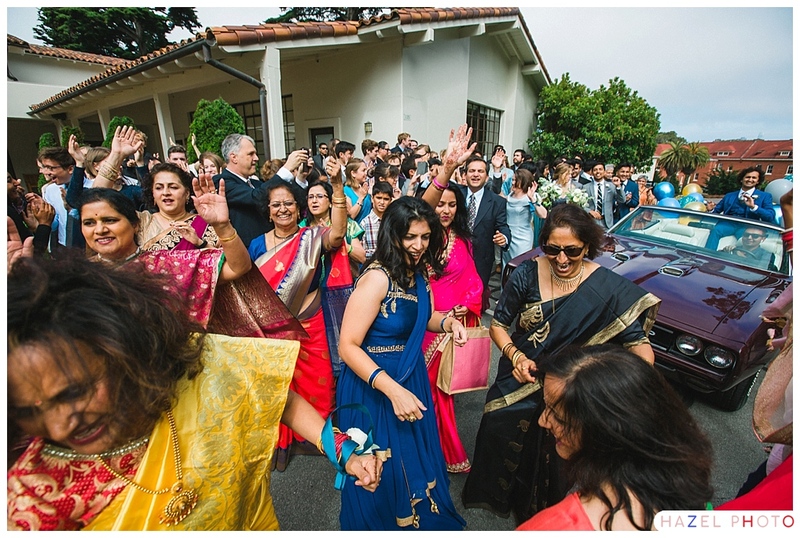 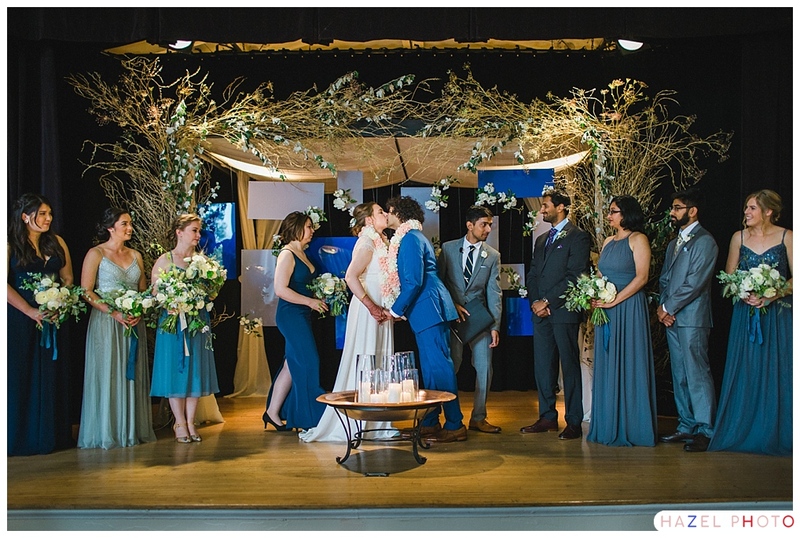 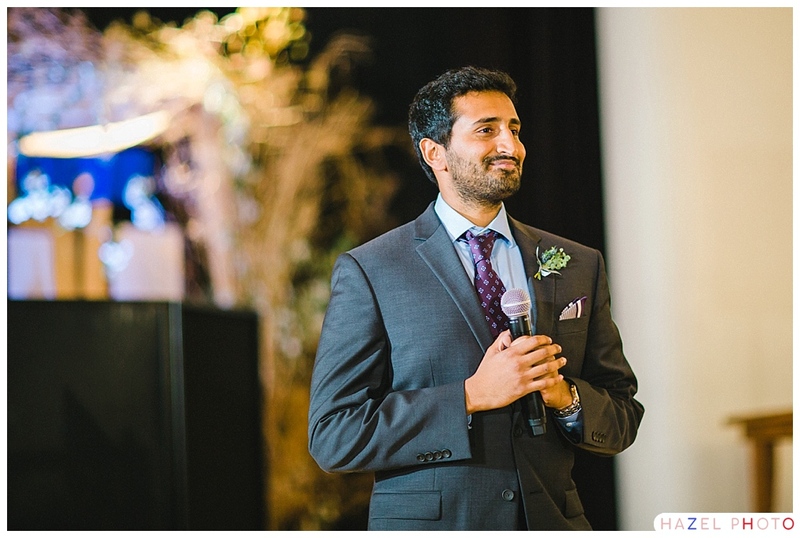 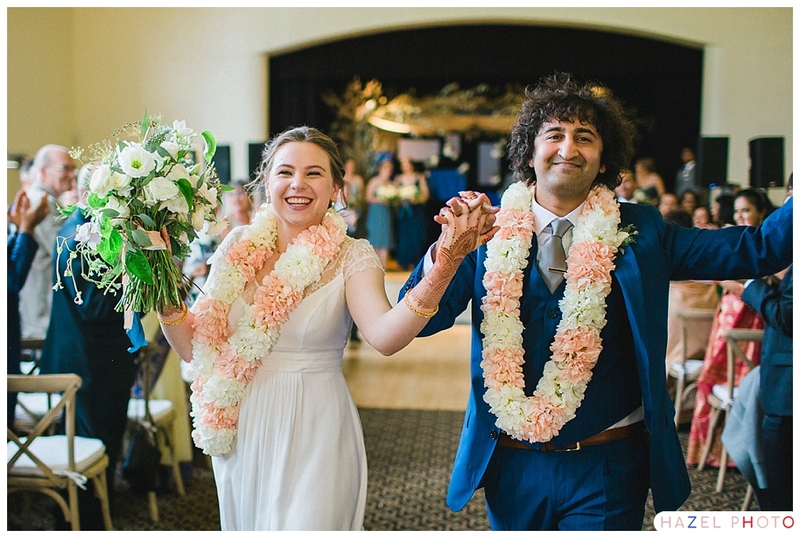 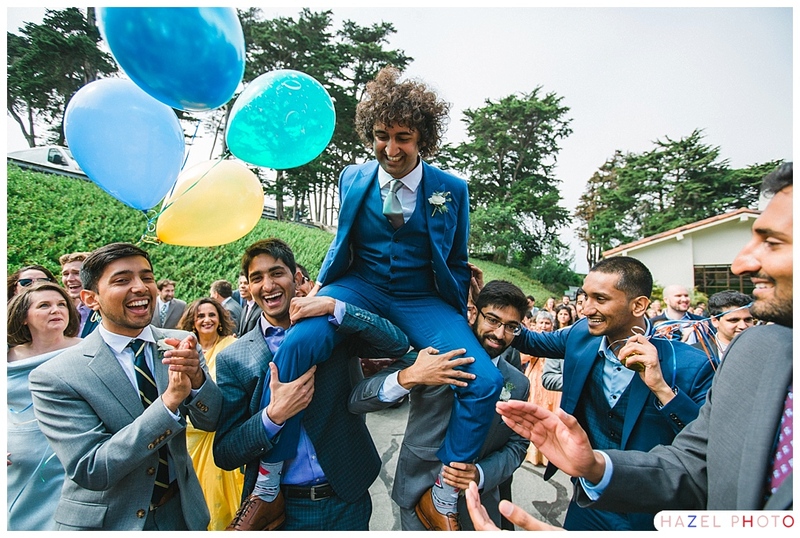 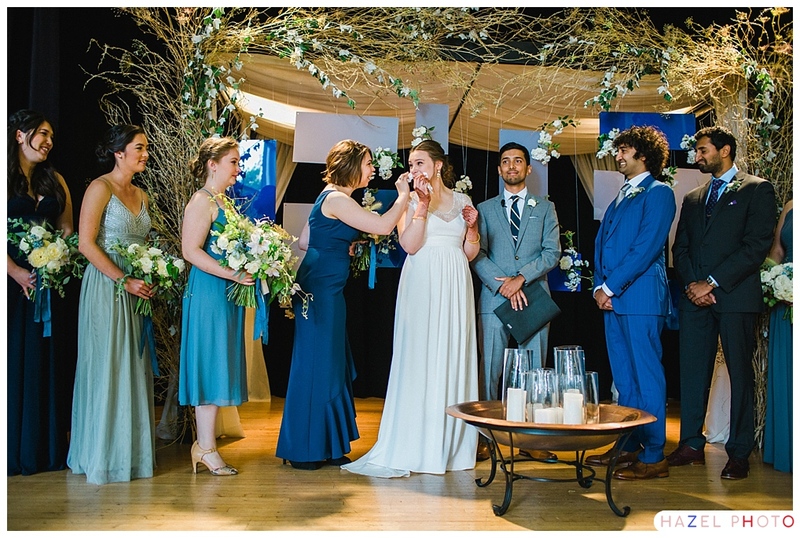 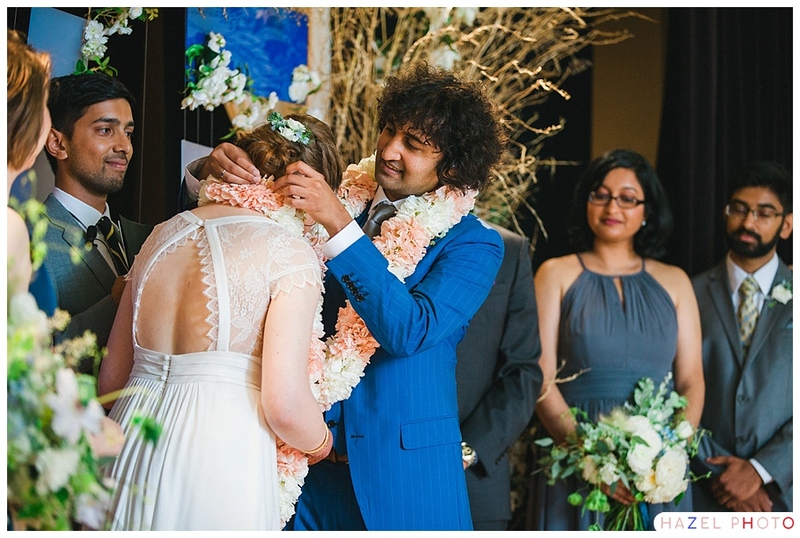 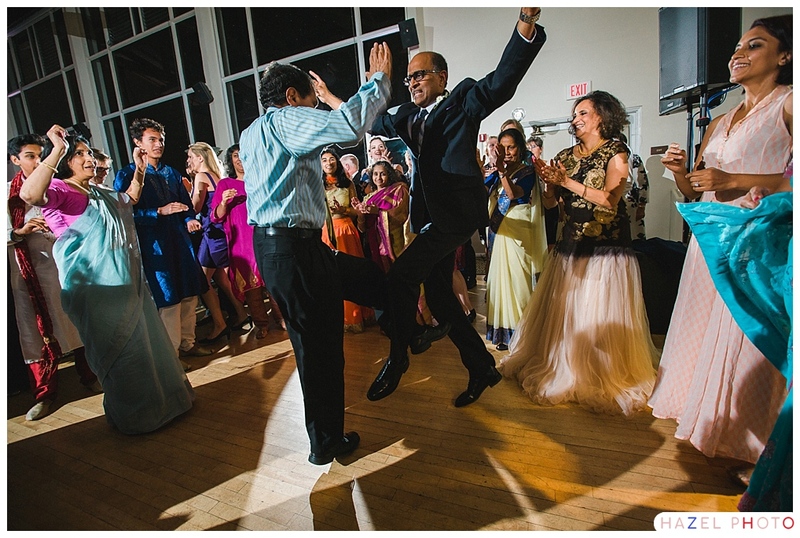 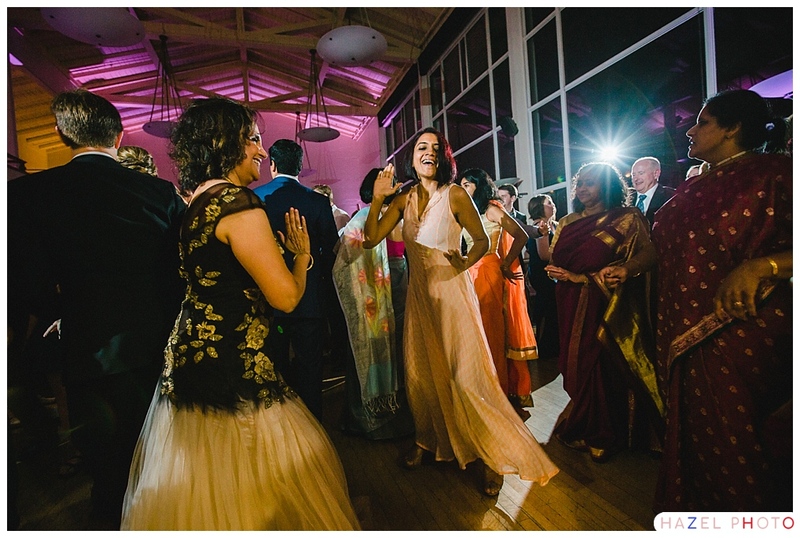 For the baraat, Rishi was escorted to the front doors of the Golden Gate Club riding high on the back seat of a sweet vintage Pontiac GTO convertible instead of the traditional horse or elephant. 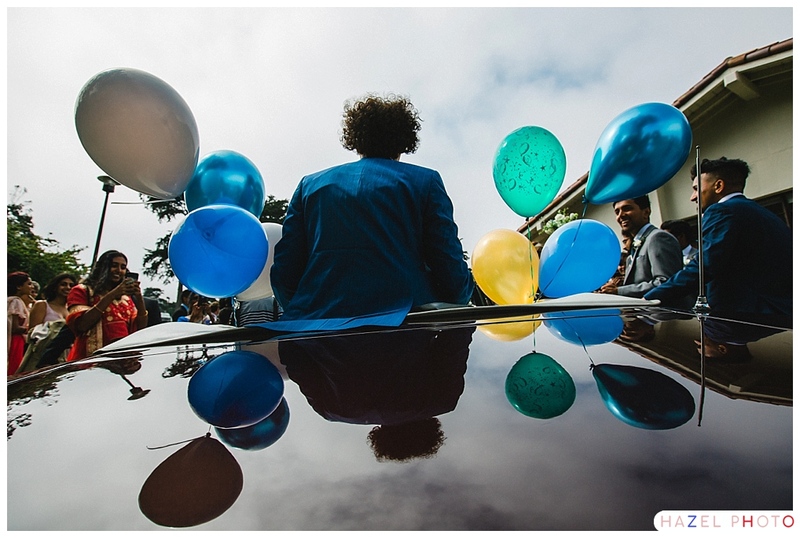 One of my favorites photos of the day is of Rishi and a spray of balloons reflected in the car’s glossy paint. 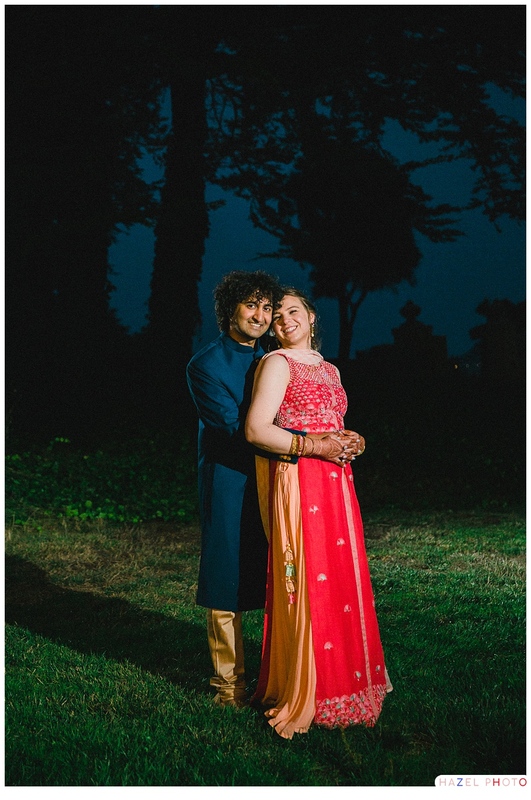 For the Barat and the ceremony, Kate & Rishi wore western dress: an elegant white dress with lace shoulders; and a sharp royal blue three-piece suit. 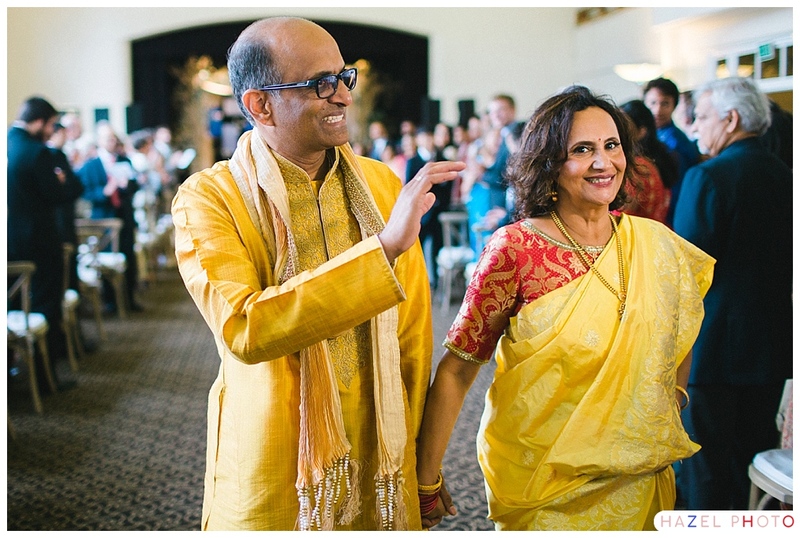 After the ceremony they changed into Indian dress for the reception. 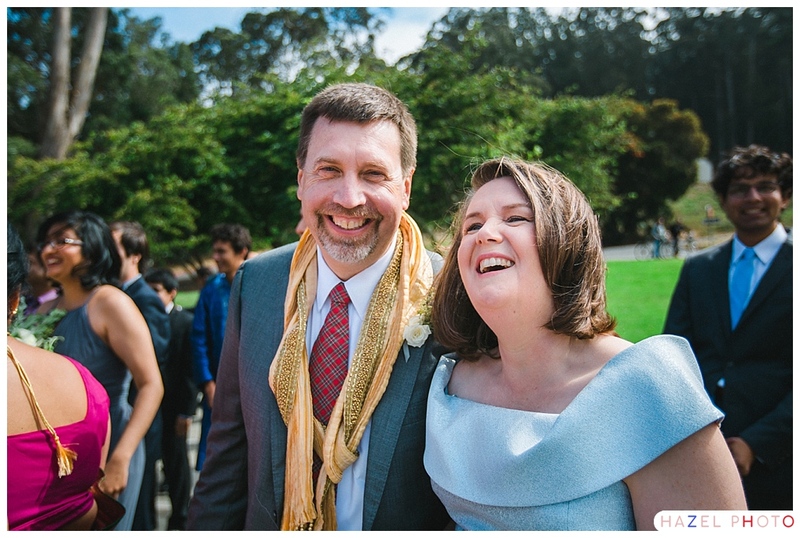 Kate’s scarlet dress was covered in elaborate beadwork. 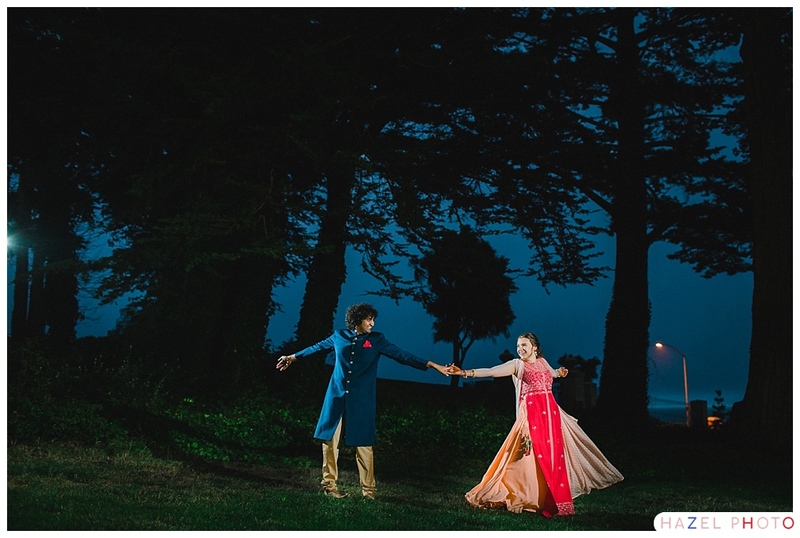 I love how the surrounding cypress trees made dramatic appearances all day long, whether through the great wall of windows that looks out onto the San Francisco Bay, or with the blue night sky as a backdrop for the night portraits we made. 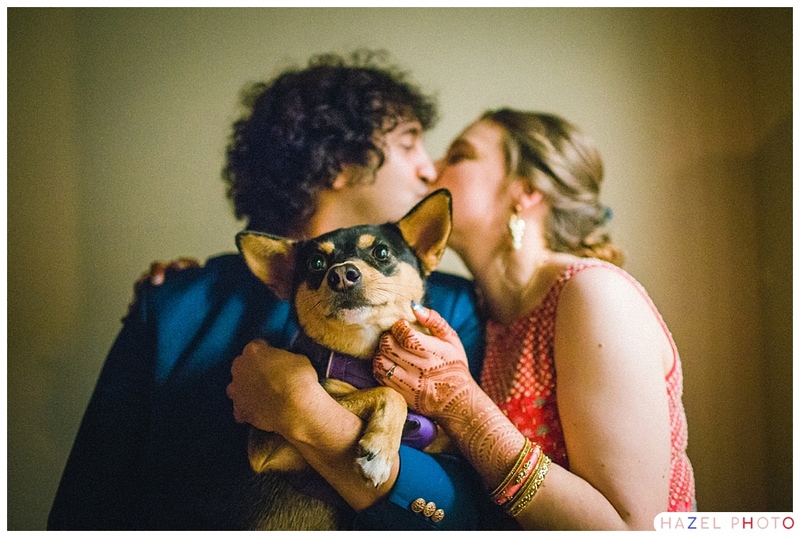 At the end of the evening, Kate & Rishi’s sweet puppy made an appearance. 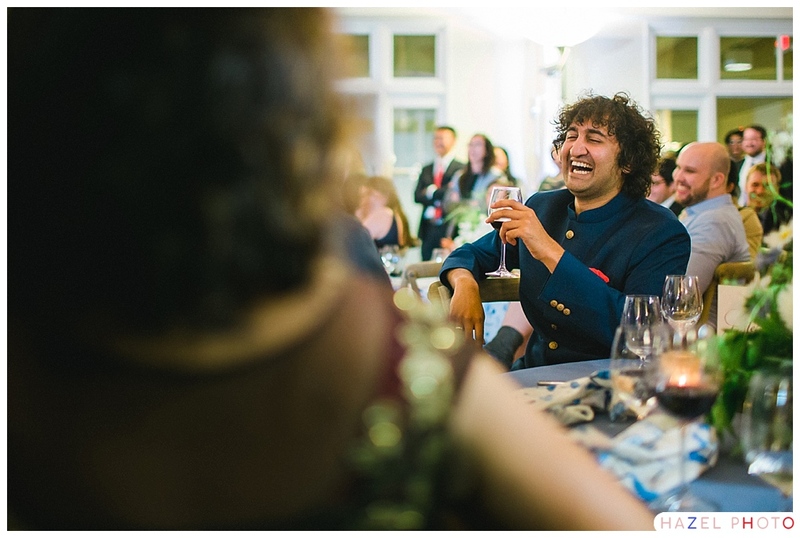 How could he have known what a momentous occasion he was witnessing. 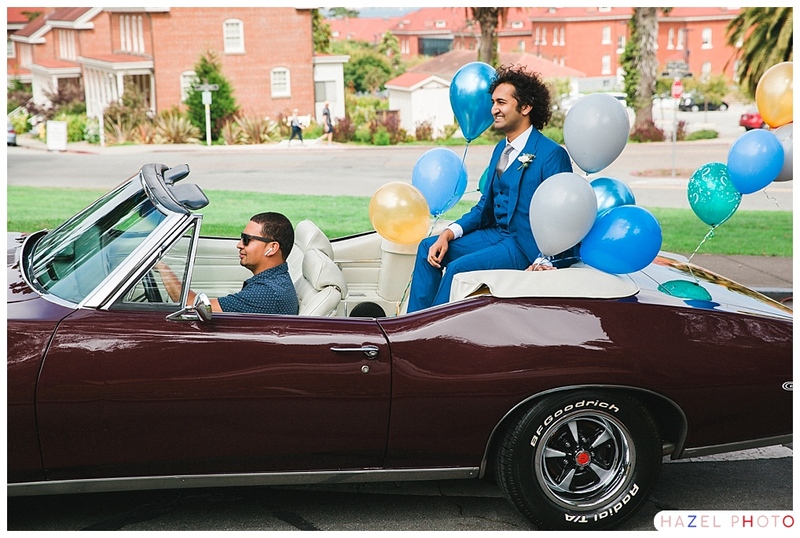 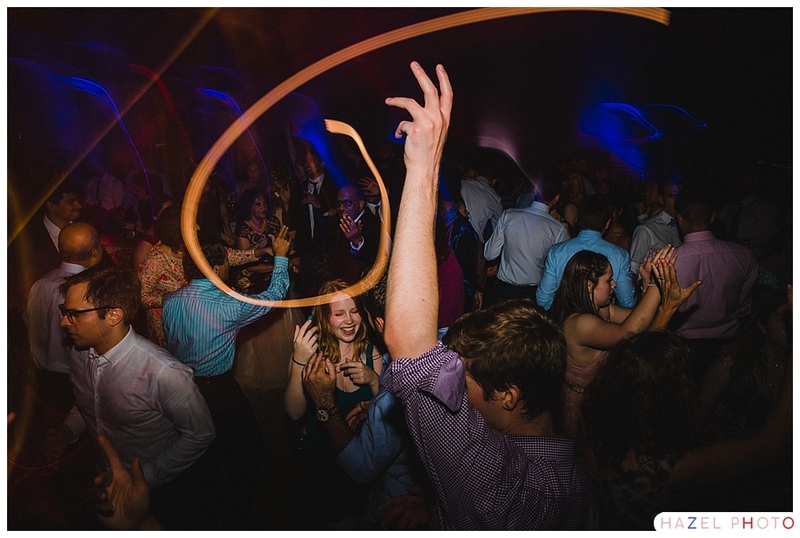 Special shoutout to the ever gracious and talented Sam Soto-Suver of Bowerbird for his work as a 2nd photographer. 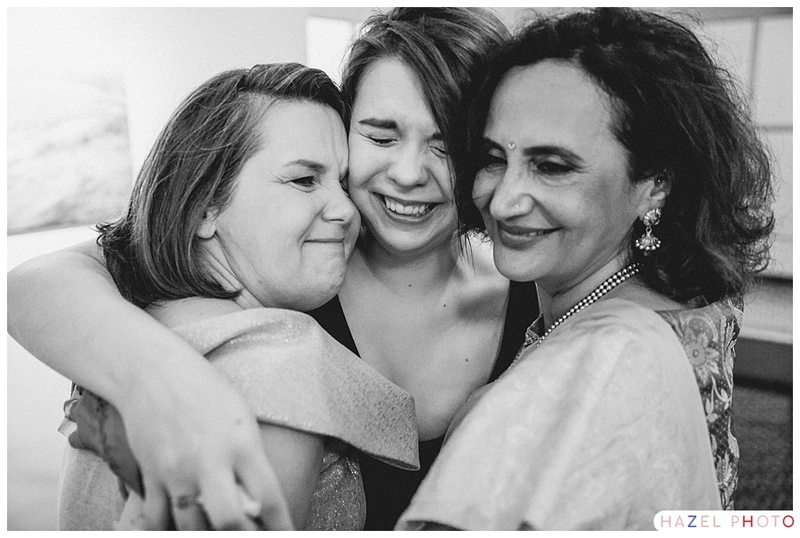 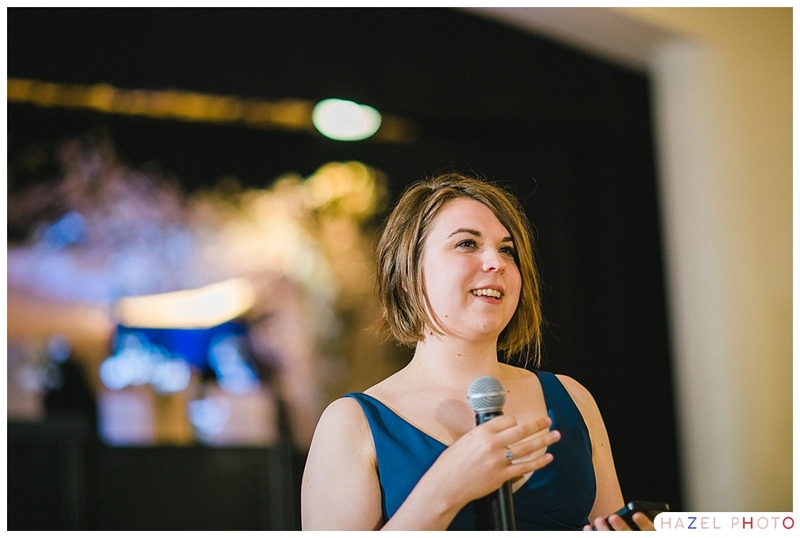 And a special shoutout to Stacy Wicelhaus from They So Loved Events who managed about a zillion moving pieces effortlessly.